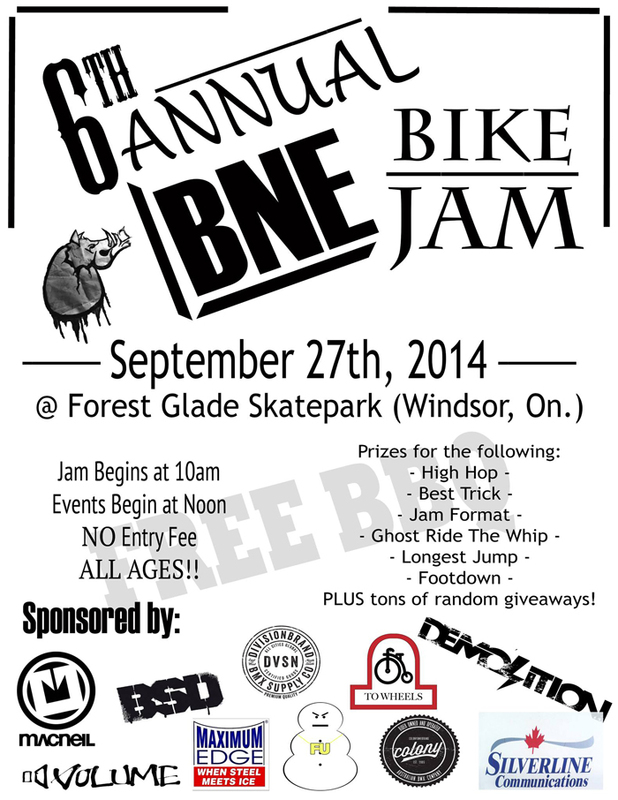 Chase Davidson just sent through a poster for this years BNE jam. Chase has put together some rad challenges with prizes to suite. Whether you’re soft, hard, or scrambled head out to Windsor for September 27th. Don’t forget your bacon!